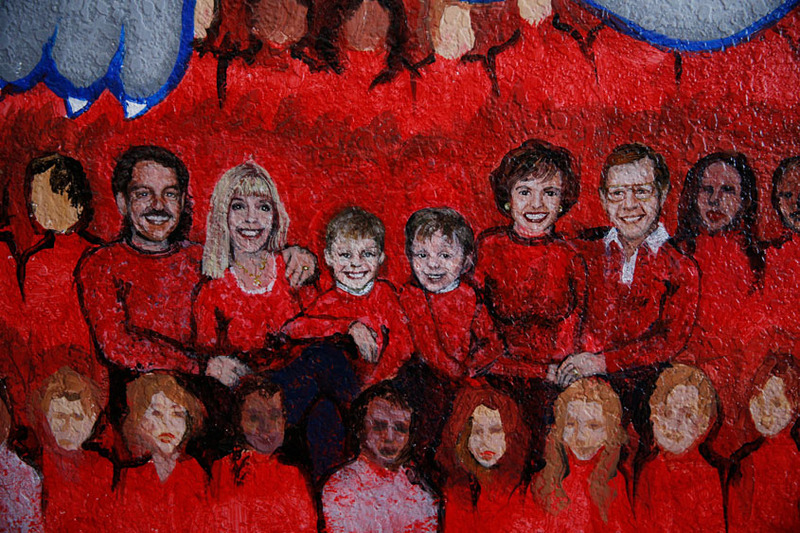 Wayne and Judy Holm caught the Red Wave spirit in the early 1980s and turned it into a lifetime of memories. With a particular fondness for Bulldogs men’s basketball, the Holms travelled on the team charter to every road game from 1995 to 2002 — and were regulars at home basketball and football games for more than three decades. 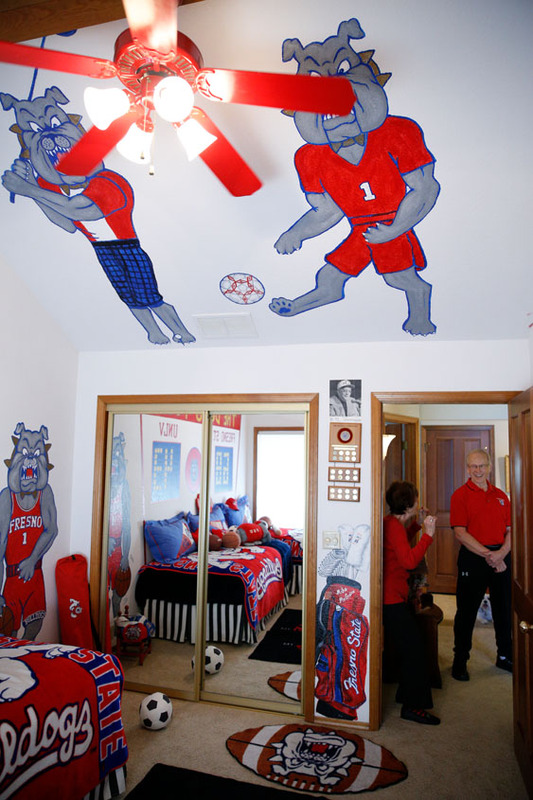 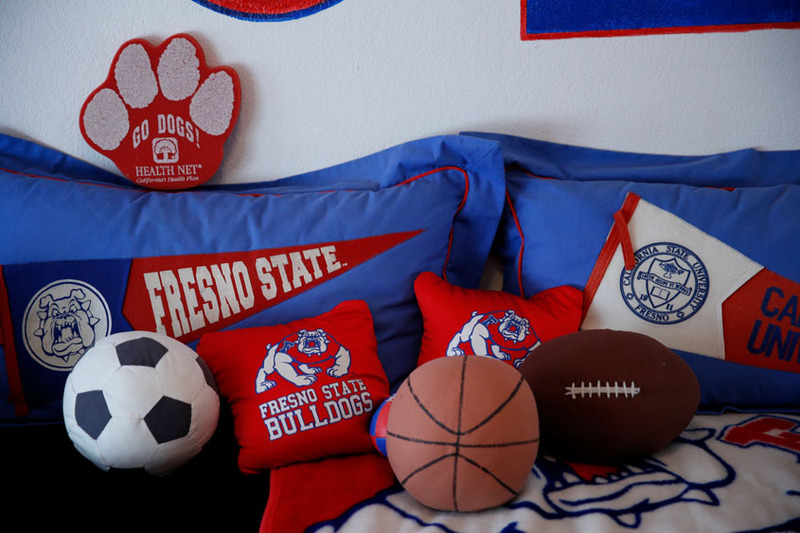 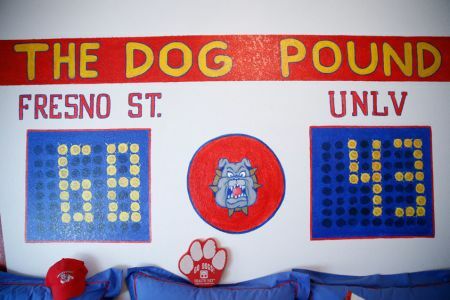 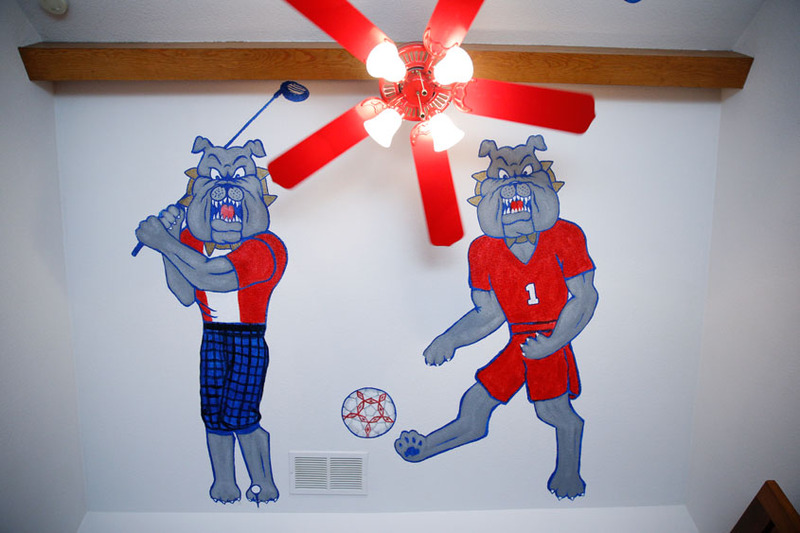 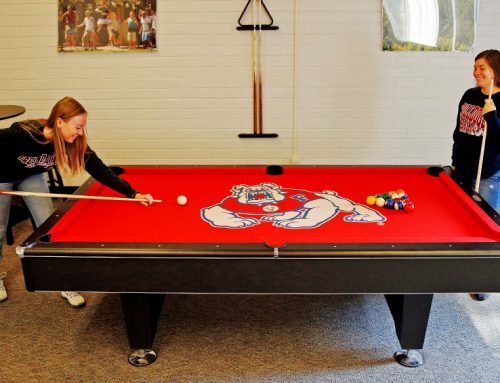 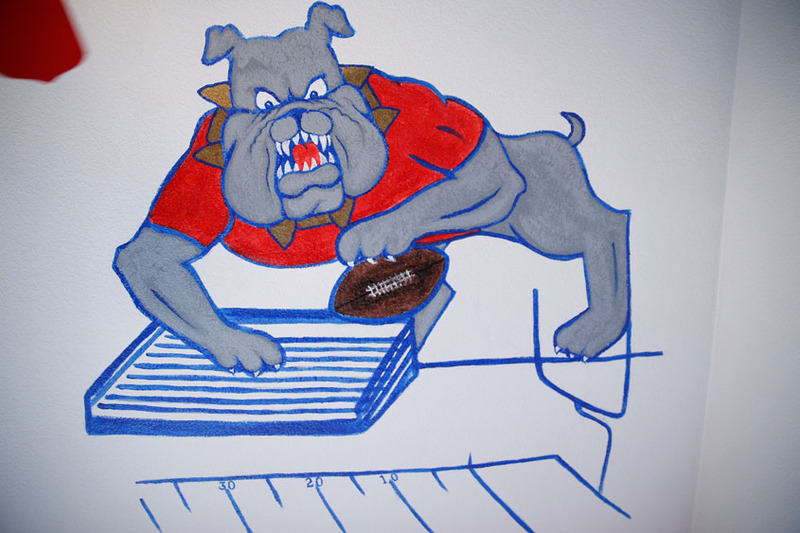 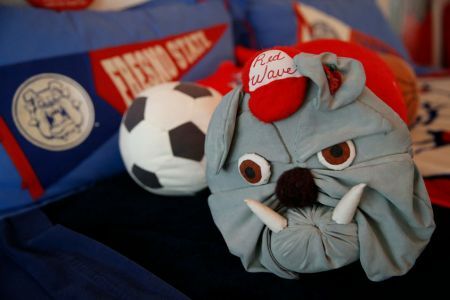 Full of Bulldog spirit, they decorated a spare bedroom floor-to-ceiling with paintings and memorabilia where their twin grandsons used to have sleepovers. 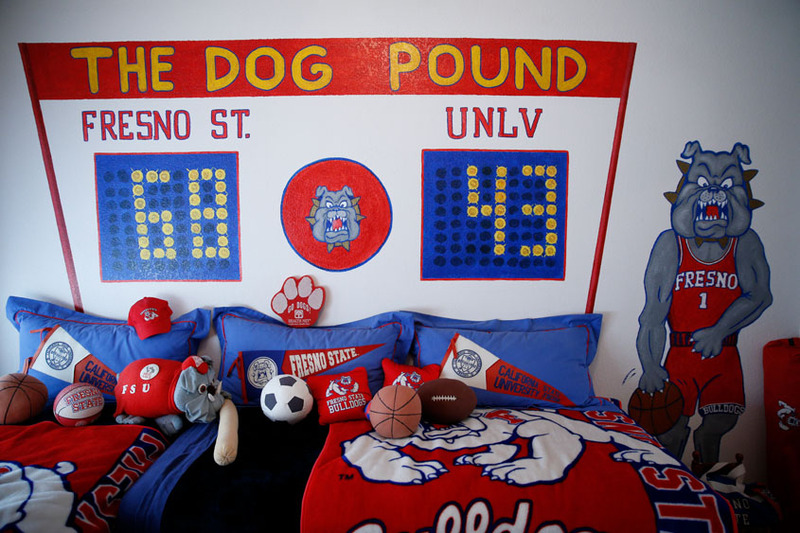 One wall depicts the score of a thrilling 1984 basketball game in which the Bulldogs beat first-place UNLV 68-43 at Selland Arena. 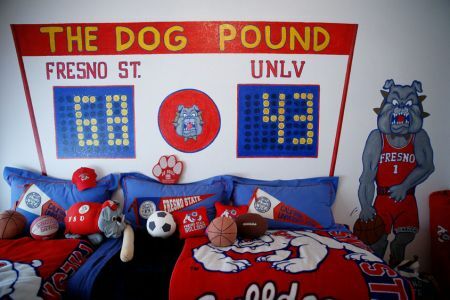 UNLV was 16-2 in conference that year, with two losses to the Bulldogs. 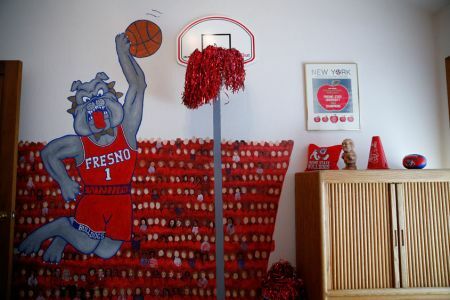 Wayne, the now retired founder of Famous Software in Fresno, formerly served on the Bulldog Foundation board of trustees. 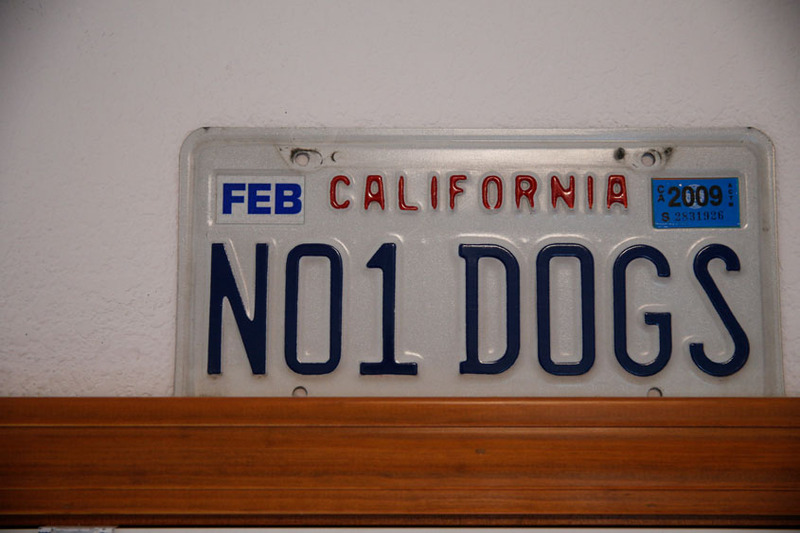 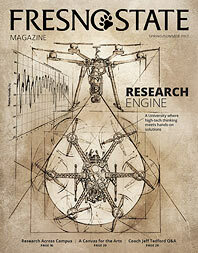 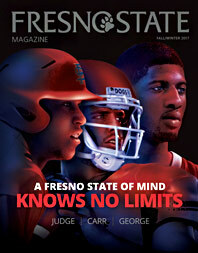 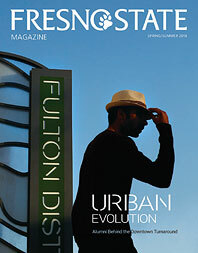 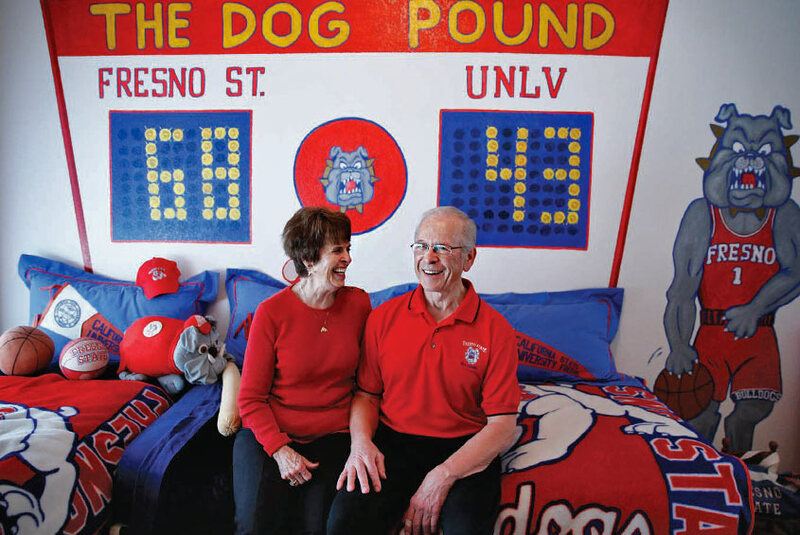 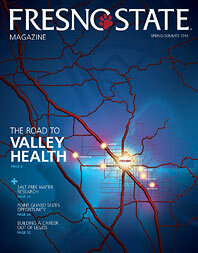 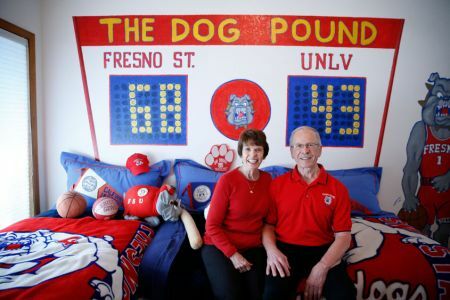 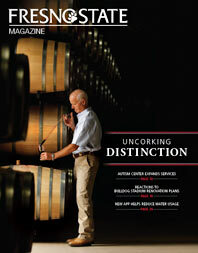 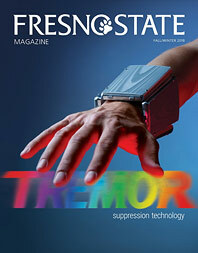 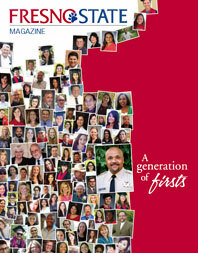 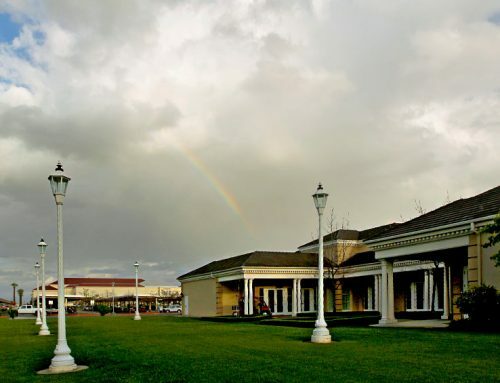 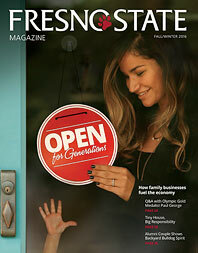 Editors note: Wayne and Judy Holm are the uncle and aunt of Fresno State Magazine’s senior editor, Eddie Hughes.